The CCO Prison Ministry “Remembers the Prisoners” through prayer, visitation and sharing the gospel of Jesus. We also seek to raise awareness in the church body, our community and wherever He leads. Come to our monthly meetings and learn how inmates are being transformed, restored and set free through Christ. Every March and October. 4 Days of sharing the love and forgiveness of Jesus with 120 most needful unsaved inmates. GriefShare is here because we believe that true healing from a loss as significant as the death of a loved one is experienced through an on-going relationship with Jesus Christ. GriefShare supports your relationship with Christ as you mourn. It may be hard for you to feel optimistic about the future right now. If you've lost a spouse, child, family member or friend, you've probably found that there are not many people who understand the deep hurt you feel. That's the reason for GriefShare, a special seminar and support group for the people grieving the loss of someone close. This group is sponsored by people who understand what you are experiencing and want to offer you comfort and encouragement during this difficult time. GriefShare is a non-denominational group and features biblical teaching on grief and recovery topics. 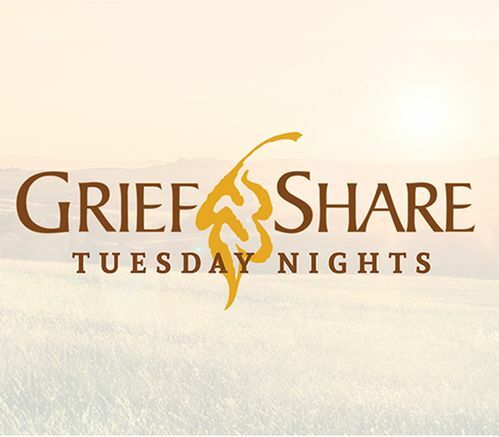 Each session the GriefShare group will watch videos featuring interviews with over 40 leading authors, counselors, speakers and pastors with years of expertise in grief recovery. After viewing the video the group will spend time in small group discussion where you'll have the opportunity to interact with others who have experienced a recent loss, learn about their experiences and share your own. During the month you will have the opportunity to use your workbook for further personal study of the grieving process and to help sort out your emotions through journaling. Your group will spend time discussing questions and comments from the workbook study. Open to new (ADULT) members at anytime. Group is open to anyone experiencing grief over the loss of a loved one. Church attendance at CCO is not a requirement. Sorry, childcare is not provided. Registration at any meeting, $20 (workbook included). If you feel you or a loved one are under direct attack from a spirit or demonic entity, we have a team, gifted by God, called by God, and trained to help you with this. The S.W.A.T. (Spiritual Warfare Advance Team) can help you find relief though Jesus Christ. * Be forewarned, there are many “deliverance” ministries out there that teach false doctrines, and take advantage of your fears. Our Hope and deliverance comes only through Jesus Christ. Christians can be tormented by the enemy. (contact the church office for counseling with a pastor). Those who are “interested” in spiritual warfare (we can refer you to books/classes). If you need help from S.W.A.T., please email us here, and include a brief summary of what you are experiencing. We will get back to you as quickly as we can. 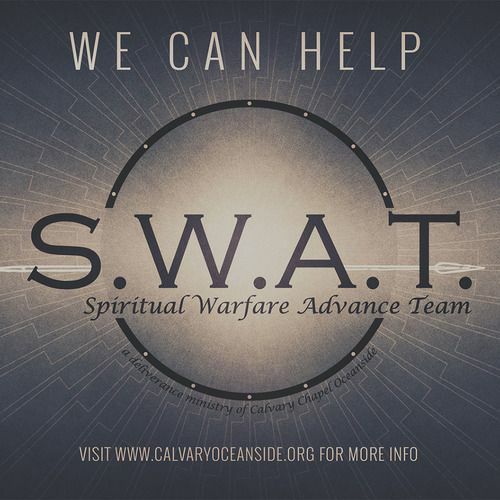 * Calvary Chapel Oceanside seeks to honor our Lord by serving His people. We do this through expository teaching of the Word, Home Fellowships, various Bible studies and classes, and specific ministries to help and encourage His flock, as well as reaching out to those still in need of His love and redemption. Sometimes, however, we find that some in our congregation and/or community need a little extra help. Some feel that they are under direct attack from the enemy: in their homes, in their families, or personally. This ministry is NOT meant to, nor should it replace normal channels of help, teaching, or any of the many ministries we have at Calvary Chapel Oceanside for anyone other than those who need help directly dealing with a manifesting spirit/demon. 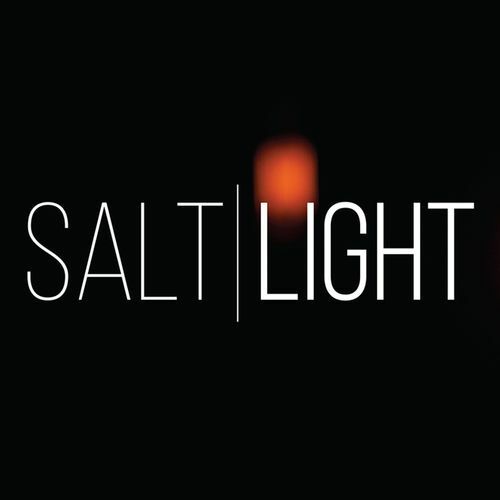 SALT & LIGHT is a Biblical Citizenship Ministry that exists to help educate and equip Christians in matters of family, church and civil government. We have monthly prayer & action meetings to discuss current hot topics and how we can engage the culture and protect our Christian Liberty. Contact for dates and information.